Over a period of time, we will address several of the issues or concerns raised about viability of cloud-based accounting (ERP) solutions. Well, that depends on the vendor and the controls that are in place in the cloud, just like security with an on-premise or hosted solution depends on the safeguards in place locally. I am not certain whether it can be determined which solution is inherently more secure, rather the question is what resources are brought to bear on the security issue and how thoroughly are they enforced and practiced. 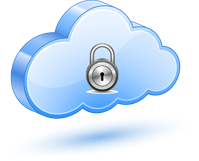 These are only a few of the details of security for a particular cloud vendor, Intacct. The focus here is to show that immense resources are invested specifically in security … certainly more resources than all but the largest Fortune-level enterprises can invest, yet due to the serving of many clients, the resource cost is effectively spread. As you evaluate the relative security of the cloud versus your local security, be sure to do a thorough, honest evaluation. More detailed information about Intacct’s Software as a Service: Performance, Availability and Security can be found here.